The mayor, Andrés García Cánovas, has raised a motion to the April plenary session promoting the institutional adhesion of the Totana City Council to the Manifesto of the World Day of Lipodystrophies 2018, which is commemorated every March 31. AELIP is a non-profit organization, declared of public utility and international scope, which was created with the aim of achieving a better quality of life both in people suffering from lipodystrophies and in their families, in countries of the five continents. Since 2013, AELIP commemorates March 31 the World Lipodystrophy Day, whose campaign is developed around awareness and visibility activities to raise awareness of this infrequent pathology and to support those affected and families living with any type of Lipodystrophy in the world. In this way, the Mayor's motion subscribes the manifesto in support of those affected by Lipodystrophies and relatives of the same exposed for debate and approval in full. This calls for the creation of reference units worldwide in comprehensive care for patients with lipodystrophies. Support the reference unit in Lipodistrofias located in the university hospital of Santiago de Compostela as CESUR of reference in Spain for these pathologies. the establishment of a map of experts / professionals in lipodystrophies worldwide, as well as concrete measures to ensure equitable access to vital medicines for families with lipodystrophies, particularly human recombinant leptin. and to urge the Government of the nation to invest up to 3% of the Gross Domestic Product in health scientific research. Similarly, we want to generate a collaborative action where all the agents involved - public sector, private sector, citizens, the academic world, industry and patient associations - converge and through which patronage is favored through a incentive system that makes possible the sustainability and viability of research projects in Rare Diseases (ER). Finally, we advocate supporting the registry promoted by the "European Consortium of Lipodystrophies", and the European network of clinical and basic groups working in the field of lipodystrophies. 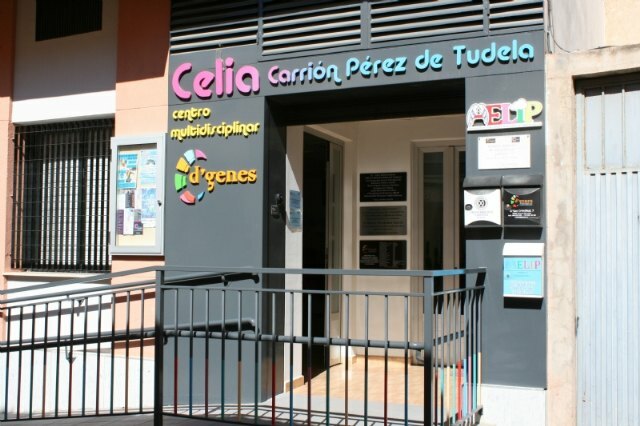 In April 2012, AELIP was born thanks to the legacy left by Celia Carrión Pérez de Tudela, since she was the one who led the search for the objectives that the association now has, such as improving the quality and life expectancy of those affected by lipodystrophy, and create spaces for coexistence among those affected, family members and professionals. Likewise, we work on raising awareness and giving visibility to the problem, supporting research in lipodystrophy and carrying out training actions in this area.